First published twenty-five years after the “war”, Michael Shoen’s account, is still considered the definitive work on what is one of America’s greatest motorsports accomplishments of the sixties. It was a good time for Ford in Europe. Ford GT40 prototypes won the International Championship of Makes and Le Mans in 1966, and Le Mans again in 1967. That same year, Dan Gurney won the Grand Prix of Belgium at Spa in his Ford-Weslake-powered AAR Eagle. It is no surprise then that the accomplishments of the Shelby Cobra team in securing the GT Class Championship may have gone unheralded. While all were focused on the battle for the overall win by the exciting Ford and Ferrari prototypes, at the time it was viewed as merely a class win for road-going GT cars. Shoen and most outside Italy were looking with great excitement at Ford to end Ferrari’s long dominance of the Prototype class. In America, such was the antipathy toward the “arrogant” Ferrari team that the inevitability of Ford’s win, given the resources the company threw into the effort, was happily overlooked. 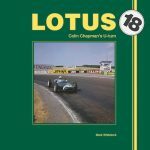 Shoen’s book, in its original first edition reflected the thoughts of the times and treated Ferrari, the man and the company, rather shabbily. 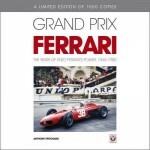 In this second revised edition the view has softened and, again in keeping with today’s feeling, Ferrari’s place in the history of motorsports is more accurately reflected. 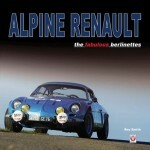 The true battle for the GT Championship crown, as this book delineates, was fought on seldom heard of tracks and obscure hillclimbs across Europe. We are introduced to famous drivers, European and American, who race the open Cobras and developed the Cobra Daytona Coupes. This list is enlightening for most of us who were only exposed to the SCCA races where the Coupes were seldom seen. The author wills us to cheer for the determined and talented Bob Bondurant who moves to Europe, lives and travels simply, and diligently does his homework learning every never-before-seen track. He personifies the car he drives and grittily battles the best, including teammates and management, to win for an all US team in a foreign land. This book takes us to all events, large and small, and tells us what we missed. Happily, in both words and pictures, it also tells us about Ferrari’s most successful racing GT, the glorious GTO and the men who drove it, factory racers and privateers who raced well and yet still lost to the Cobras. 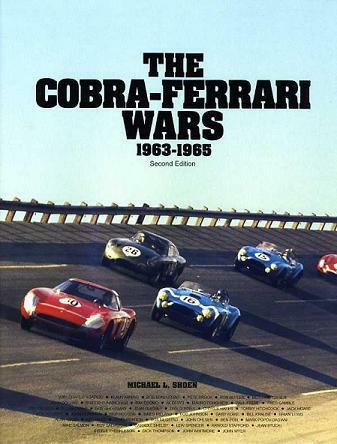 The Cobra-Ferrari Wars is reflective, in many ways, of the cars it celebrates. It is Ferrari, elegant and thoroughly European, in its pictures and the settings they depict. It is more Cobra, rough hewn and determined, in its story and candid shots. The pictures are wonderful; several are gorgeous. 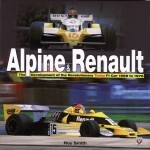 Justifiably so, as many were taken by the famed photographer, Bernard Cahier. 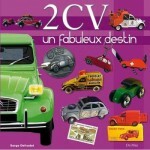 The first edition was offered in your choice of red (Ferrari) or blue (Cobra) cloth covers. Those are now collector items with asking prices that are multiples of the original. Thankfully for us this revised second edition is available and affordable. The second edition was actually produced from high-tech scans of a pristine first edition. Then revisions were made to the text, correcting some errors and adding a bit—making it is a true second edition, not merely a reprint of the first, and thus worthy of consideration for your collection. It is often said that there are three sides to every story. In all wars there are at least two. This book does not purport to be a balanced view of the conflict. But it is a great story told unabashedly from the winning side. 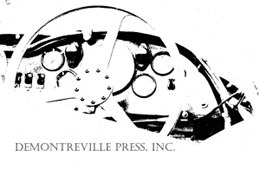 Won 1991 Society of Automotive Historians Cugnot Award for The Outstanding Book of 1990. Unfortunately, as the author/publisher admits, the original printing plates were lost so the photos in this edition are not as good as in the first!